Over the last few months Dan and I have been working on re-doing our flat. We’ve lived alone for nearly 4 years and all though we don’t own the property this flat truly feels like our home. Buying a house isn’t on the cards for us right now, but we still wanted to make our rented property reflect us so we decided to invest it making it as lovely as possible. In the last 6 months we have painted, bought new furniture, and tried to make use of the small space we have buy re-organising the layout. 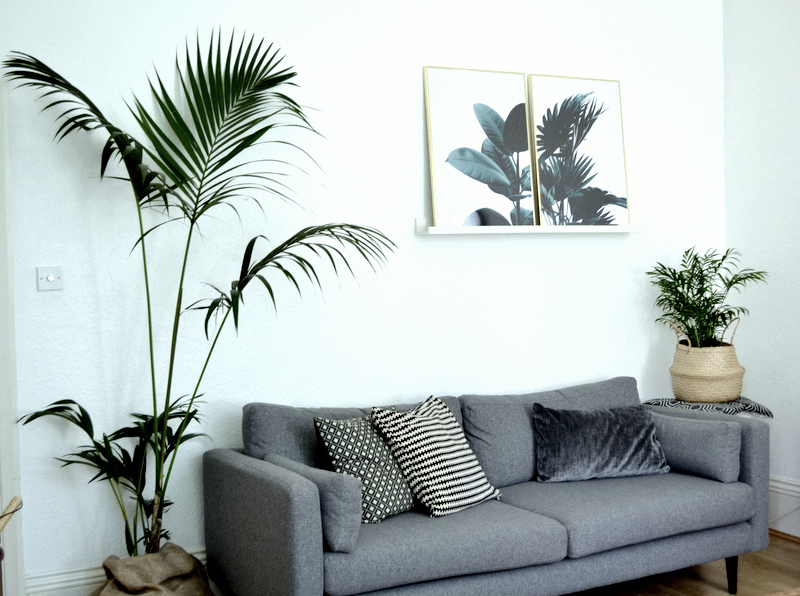 Investing in greenery was the next on our list of priorities as I truly believe plants can completely alter a space. The final element of making the house feel more homely was to introduce more art on to our walls. We had a gallery wall before but it didn’t feel quite right, and I was struggling to find prints, photography or art work that reflected our style. I asked out on an interiors group I am part of on Facebook and they kindly directed me to Desenio. I had them stored on my iphone notes ready to order when they kindly offered to collaborate with me here on the blog. The thing which impressed me the most about Desenio is just how easy the process of buying prints and frames is with them. Usually I would go via somewhere like etsy, find a print I like then buy a frame separately which isn’t too difficult but certainly more time consuming. With Desenio it’s all there for you to do in one, and they show examples through imagery on what sizes are what, and with the prints in frames, this is an incredibly helpful element! Theres are all styles of prints to choose from in a number of categories making searches for something in particular smooth and easy. 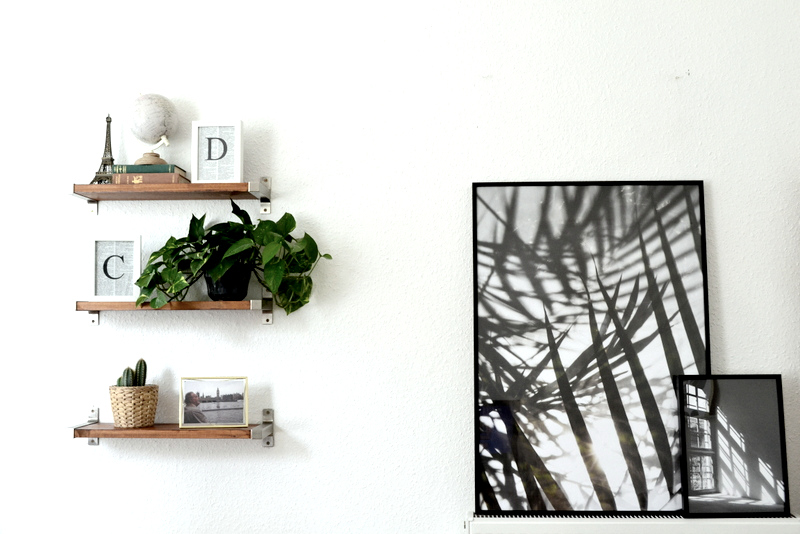 When choosing my prints I went for the botanical inspired selection, with printed palms and leaves as well as shadowed and black and white photographs. 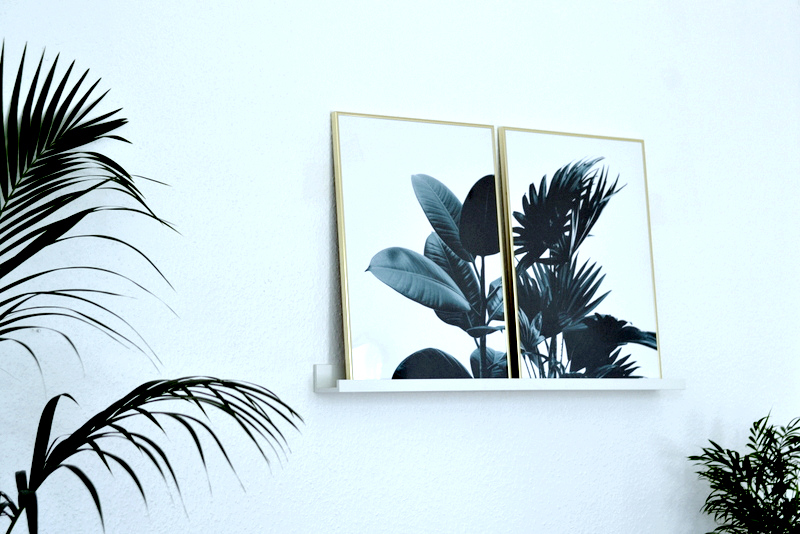 I chose these styles, one because they remind me of tropical climates, which you all know Dan and I love) and two because they really work with simplistic white walls and the modern boho vibe of my living room space. I think the green prints are my favourite especially sitting alongside my living plants, it just makes the house feel warm and welcoming, especially when the sun is shining brightly through our tall Victorian bay windows. We are actually planning on ordering more frames from them to put our wedding photos into, something we haven’t had a chance to do yet and I think it will finally make the house really feel done. So if you are looking for some new wall art, or frames then I absolutely recommend Desenio. In fact I have a 25% discount code for my readers which you can use on the site on Poster Prints! Simply use the code CALLIE25 to get the discount (Please note this excludes the handpicked category) This code is valid from 20th-22nd June only. I hope you’ve enjoyed this post which was kindly sponsored by Desenio. I plan on sharing more photos of my flat over the next few months, so do leave me a comment if you would like to see more of this.